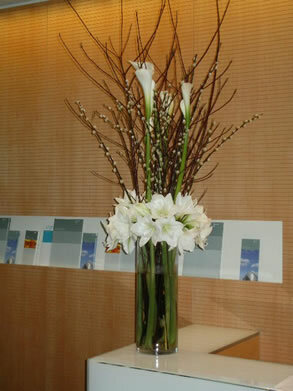 For a "Wow" factor there is nothing to beat a vase of fresh flowers for your reception desk. Our florist can supply the perfect display to meet your needs. All flowers are supplied on a Monday morning to give you a beautiful vase of fresh flowers lasting all week. We also supply flowers for boardrooms and all special occasions are catered for with our interflora service.